Maybe I'll make a habit of posting humorous bits on Fridays. These both come from my friend Cindi, who actually forwards very funny emails, instead of the usual "You are the wind beneath my wings" crap that I get from a lot of girlfriends. No offense girls, but they're always part of chainmail. Please! I don't need any more guilt in my life. First, a photo of candidates for the Darwin Awards. 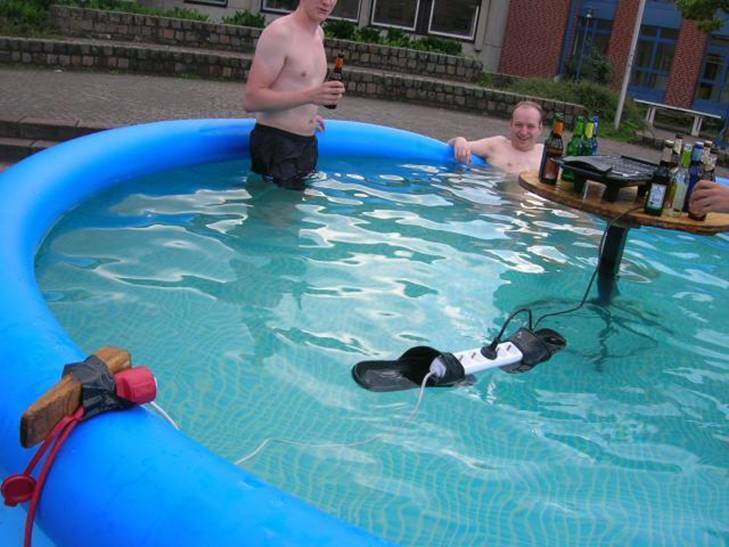 Note the power strip floating on the flip flops. And next a video. This one hits a little close to home, because I could totally see myself doing something like this.